The sound your knee makes is somewhere between a crack and a pop. Anything more than that may mean your knee is broken. For many athletes, knee popping may be part of warm up exercises, but they don’t do it for its own sake. Again, the knee popping sound here is not meant for laughs. It happens at a time you’re not ready for it, and is often accompanied by pain. 1. Ligaments rubbing against each other and knee socket. First off, the popping sound may come from the rubbing of a ligament against your knee socket. When that ligament is torn, say, in a football or basketball match, you hear a popping sound. But it’s not a popping sound all the time—sometimes it sounds like something’s crunching or grinding. 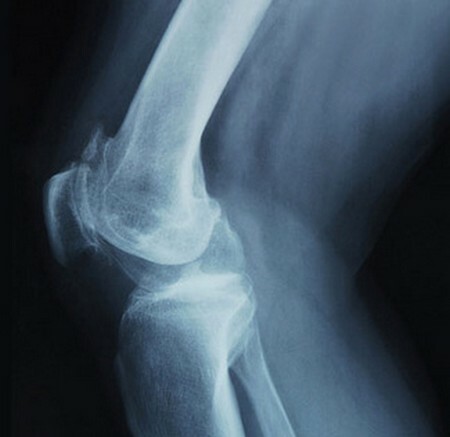 People who have arthritis have grinding knees because their cartilage is wearing off. As a rule, you have to know where the popping sound comes from. Usually the popping sound comes from the front knee around the knee cap. If it’s inside the knee, then it must be from the knee’s medial aspect. Not all popping sounds are followed by pain. When you have pain in the back of the knee, there must a cyst that’s beginning to form around the area. 2. Knee caps wearing off. When you get at a certain age your knee caps start to wear off. They start to tear so their edges turn rough. When they rub against each other, that’s when you have a grinding sound. The more it gets serious the louder the sound gets– until it develops into a pop. The serious condition is called chondromalacia patella. It’s when the underside of your kneecap starts to fray and touches your thigh bones and your lower leg’s. So long as your knee doesn’t fail you, the pain and the sound may be treatable. It can be relieved by a few days’ rest. But when your knees can’t be straightened out, or the pain is just too much, it’s time to see your orthopedic surgeon. 1. Doing morning stretching exercises. Nothing beats a healthy lifestyle coupled with an early morning round of brisk walking and stretching. When you stretch your lower extremities, you maintain balance between your knees’ hamstring and quads. The most effective form of leg exercise is the leg extension routine. You can also do leg curls for about an hour (with breaks in between, of course). When you do these morning routine, you’re able to keep your knee cartilage’s elasticity in check—hamstring, calf muscles and all. 2. Maintain a diet rich in Vitamin C and calcium. Vitamin C helps maintain a strong and elastic tissues (made of collagen) around your knee joints and all joints in general. Calcium is for stronger bone and beefing up your bone density. 3. See your orthopedic doctor regularly. If it’s a near-serious condition because of the pain, you need to have it checked regularly by your bone doctor, so you know what to do next. A knee-jerk to reaction to knee popping is not recommended.